/ JTX Freedom Air Rower review – a good home rowing machine? Rowing machines are a great investment and addition to a home gym and getting the right one is important so that you can get the most from it. One of my favourite options available right now is this one from JTX – it’s a mid range option that rivals lots of other more expensive machines like the Concept 2 and, more importantly, is a great gym spec machine. I hope you find my JTX Freedom Air Rower review helpful and informative! This JTX rowing machine is a really powerful piece of kit and would be welcome in any home gym. If you’re used to the rowing machines that you find in a regular commercial gym then you’ll know that it can be a very different experience with a home rower. This machine is not like that – it’s definitely gym quality and considering the price of it, which is mid range, that’s really good! You can expect cheaper machines to not be so good and you can expect the machines that are close to the £1000 price range to be like the gym machines, but the mid range is a bit more hit and miss as to which way they’ll lean. I really like air resistance machines, they have a nice smooth action to them and the JTX rower is no different. Air resistance is miles ahead of the cheaper magnetic versions that you can get and for me this is what pushes this superior rower in to the gym quality arena. This actually combines both technologies using electro magnetism and air resistance. It has 16 levels so it’s got lots of scope to improve with whether you’re at a basic fitness level or more advanced. You can also do a range of workouts with the rower – 8 to be exact – so you can always be sure to be pushing yourself with it. The JTX rowing machine comes with a wireless chest strap that will monitor your heart rate and can be used in conjunction with the programs that are available. This means that you can set a maximum heart rate to hit and make sure that you don’t go over it. This is a feature I haven’t seen in many rowers and one that’s really innovative. Simply use the monitor to set your target heart rate and the workout and you’re away! 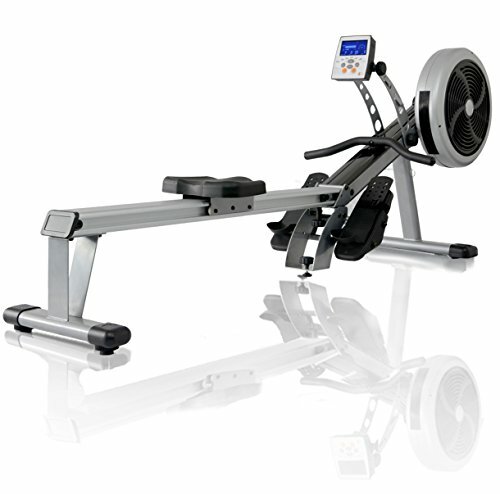 What do others think of the JTX rower machine? 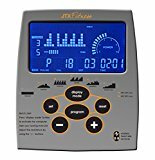 The JTX Freedom Air Rowing Machine is actually a really well reviewed machine and scores really highly from everywhere I researched. It rates highly by being an extremely sturdy model which feels high quality. The only downsides that I have seen have been that the manual isn’t the best and that some have had problems with the monitor. It has to be said though that these instances are very few and the majority have no issues wit it. In conclusion I really think you would do very well to consider this machine. It’s not the cheapest around but I would say that for what you get you wouldn’t find many to be as good value. Once you start to go cheaper you get a very different kind of experience.